BANGI, 2 Feb 2012 – The Deputy Director (e-Learning) Centre for Academic Advancement of the National University of Malaysia (UKM), Prof Dr Mohamed Amin Embi has been nominated for Outstanding Achievement in the Education Category of the First Malaysia Achievement Awards. The Malaysian Achievement Organisation has informed Prof Amin on Wednesday that the Working Committee had found his achievements exemplary. The nomination will now be submitted to the official auditor and the Executive Committee for their final verification and selection to determine the recipients for each category. There will be eight categories of awards including for medicine, health, beauty and the arts and culture with four finalists each – two individuals and two organisations. Winners will be announced at a dinner and presentation at the Sime Darby Convention Centre, Bukit Kiara on Feb. 23. Each of the finalists will be given a certificate and trophy. Prof Amin was nominated by the Ministry of Higher Education based on him winning the ISESCO 2010 Award for Science and Technology. 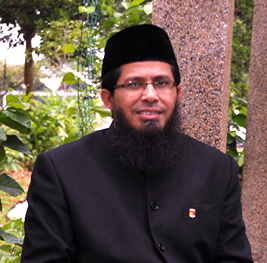 He was one of six scientists from Islamic countries to receive the ISESCO Awards of the Organisation of Islamic Countries (OIC) in Oct. 2010 in Rabat, Morocco. Prof Amin also wrote an eBook, ‘Web 2.0 Tools in Education: A Quick Guide’ in Oct 2010 which attracted about 46,000 readers, mostly from the United States of America, within less than three months after it was uploaded onto Scribd.com. The eBook which can be downloaded free is part of UKM’s contribution to the Open Educational Resource (OER).